October has been a month filled with peace, joy, milestones and reflection. I've been thinking, again, about how blessed it is to be a stay-at-home mum and even though I tell myself that I might go back to work when the kids are older, it seems like the plan has to be shelved since we will be welcoming another baby into our family in eight weeks' time. Oh yeah, there it goes again, diaper changing, breastfeeding, bathing a newborn, waking up again and again in the middle of the night. In the first place, when are kids old enough that they really do not need Mummy to be around for most of the day? I seriously can't foresee that in the near future yet. If I have to decide on the main motivation for wanting to stay at home, it is the feeling of just being there. Being there for them when they need someone, being there beside them to experience the ups and downs of motherhood, being them with them and constantly be reminded that life is beautiful and every moment worth cherishing. In this month's "Happiness is...", it's about all these simple, precious moments that mean the world to me and how thankful I am to be here. One of my most heartwarming moments has to be seeing my big girl all grown up at her graduation concert. I don't know how to describe that feeling because it was a mix of emotions and I felt so many things all at once. Six. Six years. Has it really been that long since I stepped into the motherhood journey? I find it truly unbelievable and on more days than one, I can't help but feel that this big sister is still my little baby. Even though she has been attending art class for over two years and has churned out masterpiece after masterpiece, each one never fails to touch me and remind me how important it is to let her choose, find and decide on her own passion in life. These beautiful artworks are definitely precious keepsakes and I hope I can treasure them for as long as possible. Oh, so who has started school but the little sister! Yes, she has begun going to half-day school and even though we are apart for less than three hours a day, I think I'm the one who is suffering from separation anxiety more because she seems totally happy, on most days, to skip to school. I decided to start her now rather than next year since the school had vacancy and also because I can't imagine having to deal with a big kid going to primary school, a small one starting nursery and a newborn arriving all at the same time. Breathe, mummy, breathe. So I reckoned it might be easier to get at least one of them accustomed to the new environment and new routine first. I have to say she has been a darling and only needed me to be around for the first day. Subsequently, she was okay to be in class on her own, eat by herself and nowadays, she would even tell me who are her good friends and what books the teacher read in school. Awwww. No wonder they say that the second child will usually be more independent than the first and while it's not that I prefer one over the other, I am just relieved to see that she is settling down well. Way to go, my dear! We still go for late night suppers nowadays and I am treasuring the fact that we can still sleep in and wake up late on days that we wish to. Yes, I know I know, all this might change once primary school hits so that is why I am extra cherishing all these nights out with my two girls. Bedtime stories are such an integral part of our everyday life and I'm truly happy to see that the big girl can now read to the little one! So sweet, right? That saves me some effort but more than anything, it is that sisterly bonding that makes this a moment to relish and remember, and I do hope we will have many more coming our way. It's so important to instill a love for reading from young, don't you think so? We also made a trip to LEGOLAND and it's amazing that even though we've been there so many times, we still get to witness many firsts with the kids. The first time they went on a Halloween trail, the first time they pretended to be scarecrows, the first time Angel fished the grand prize, the first time Ariel drove a car on her own, and more! These are the little moments that fill our days with laughter, our motherhood journey with memories and our hearts with love. 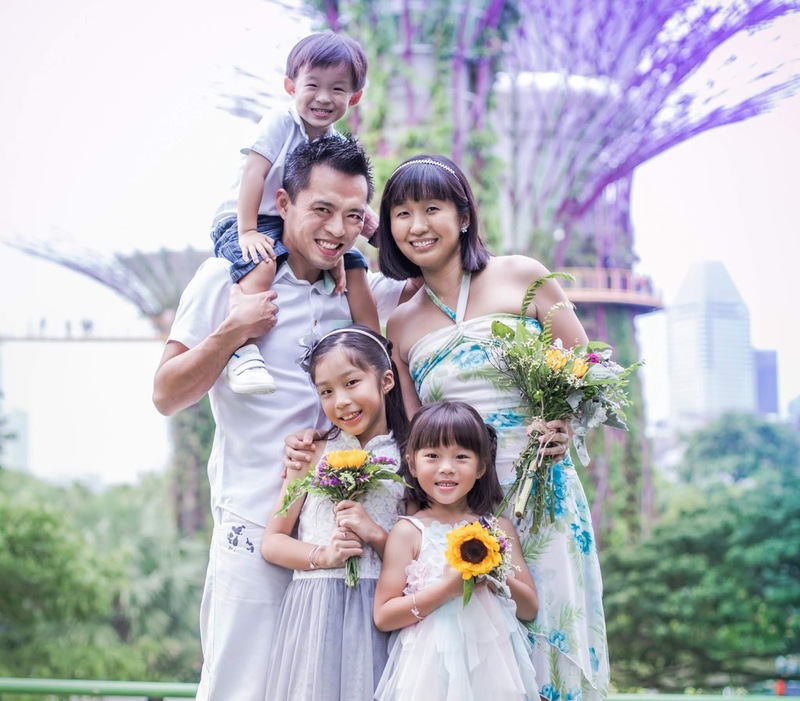 I am also trying to make the most out of our parent-accompanied classes at My Little Genius because we will have no choice but to stop once the baby arrives. This has definitely been a fun experience for the toddler who looks forward to every class and I'm happy to be the one right beside her as we learn, play, laugh and bond. 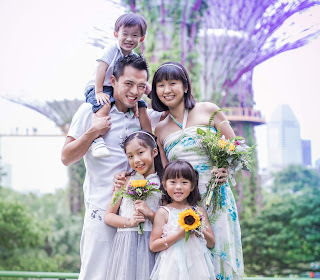 I can see how important it is to have one-on-one time with each kid and can only hope that somehow, someway I can do it when we have three kids in the house. 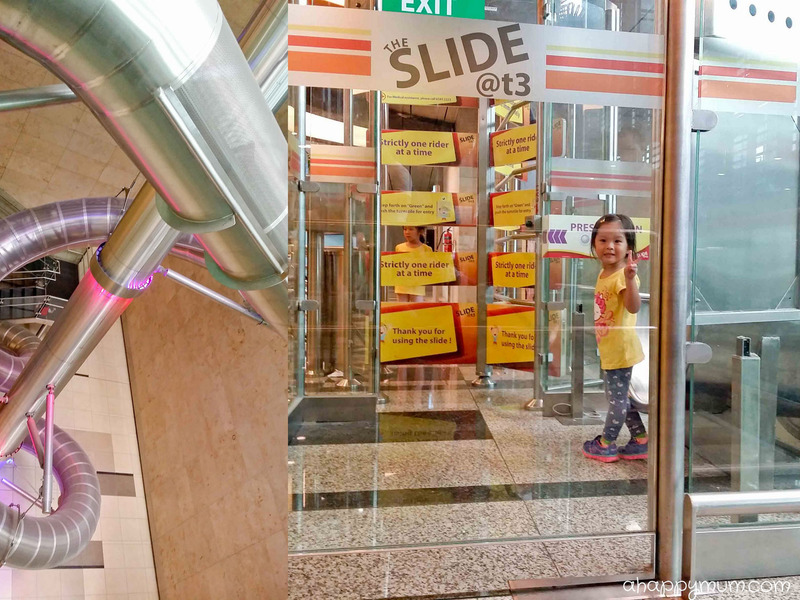 We made a trip to the airport and the girls were thrilled to once again go on the T3 slides! I was very much surprised when the little sister she could ride on her own, and we're not just talking about the shorter slide but the taller one! And not just once, but a few times! Is she really not yet three years old? Sometimes I wonder. From the way she touches bugs, the way she jumps into the deep pool, the way she holds her breath and tries to swim, the way she swings, the way she slides, the way she puts on her shoes, the way she climbs onto the toilet bowl, the way she doesn't need diapers, the way she insists on brushing her own teeth, this little darling of mine sure seems to be growing up fast. 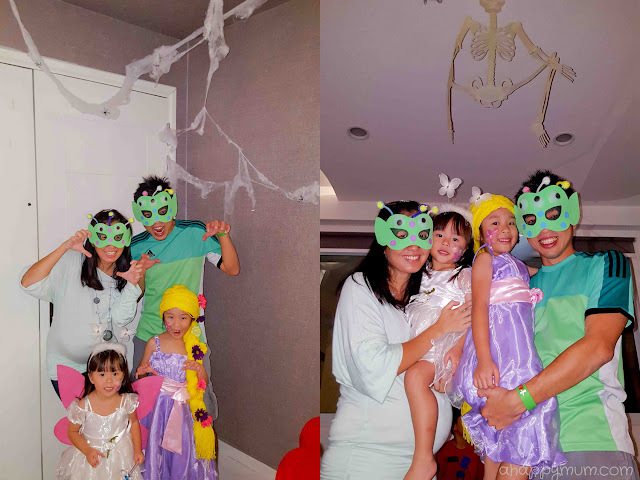 It was the first time we celebrated Halloween this year and we were glad to have the company of our friends and their kids at a dress up party. The girls decided to be a princess and a fairy and I was happy to oblige because it meant that I did not need to spend a cent. Phew. The Rapunzel wig, fairy wings and our alien masks were all from our DIY crafts stash, even the face paint was brought back from Sweden and I was glad that it had not dried up yet. It's funny how drawing a simple flower or a butterfly on their faces can make them beam so much and say "So pretty! Thank you, Mummy!". Last but not least, we are looking forward to one of the biggest milestones which will take place next month - a Sofia the First birthday party to celebrate the big sister turning 6 and the little one turning 3! Yes, that means it's time for party planning and DIY again! It's not going to be something grand or fanciful and we are looking at a cosy party with just a few invited guests. But as usual, we will still have to do up the decor, games, party favours and there's so much more work to be done! I'm getting all excited already! It's definitely going to be an fun-filled November for us and I can't wait to share more with you soon! How did the month of October go for you? Wow that pic of Ariel at legoland! It looks like she's speeding! Judging by how her hair is flying in the wind :D and that pic of them reading. Aww awww and more awwwww!!!!! Lol, actually she kept stopping because she would bump into the sides and not know how to turn back onto the road! Hahaha. Poor LEGOLAND guy had to keep helping her. Oh yeah, I love that shot of them reading together too. Am cherishing these nights for now!! So great to see the girls having fun together. Linked up with you this month.